Most Commonly Encountered Personal Injury Cases while being common are categorized into different cases. In this modern world injuries are common and no matter how careful we are, injuries can occur anytime. When a person is injured as a result of someone’s negligence or bad intention, it becomes a personal injury case. While all the personal injury cases can be handled by a lawyer, it is important for us to determine what cases actually need the consultation of a lawyer and what cases don’t. Given below are the most common personal injury cases which can be handled by a Personal Injury Attorney. 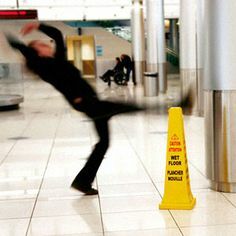 A slip and fall accident occurs when a person is injured as a result of slipping (wet floor with no signboards, oil left on the ground by someone etc.) or tripping (due to a loose floor board or broken step on a staircase). It is important for you to consult the help of an experienced Personal Injury Lawyer in such cases depending on the level of injury. With the automobile frenzy in today’s world it is a common site to witness road accidents of varied magnitudes. When an automobile accident occurs by the fault or ignorance of someone else, it becomes a personal injury case. It is not uncommon for such cases to be settled outside the court without the help of an attorney. Nevertheless, one might require the help of an experienced attorney to negotiate the insurance claim with the insurance company. Accidents can happen anywhere especially when you’re involved in jobs like construction, electricity and manufacturing industries etc. Most companies take full responsibilities of their employees, but in several unfortunate cases the companies deny all responsibilities or fail to provide adequate support for the injured employee. An experienced personal injury lawyer can help you negotiate and receive proper compensation for the physical and mental anguish you have suffered due to the injury. Most injuries are caused due to negligence and ignorance, and the worst of these are the injury caused due to medical malpractice or medical error. Each year several lives are lost or scarred due to the negligence of the hospital staff including the doctors and nurses. A personal injury lawyer in such cases becomes a necessity as it is a general responsibility of every person to make sure such incidents do not repeat in the future. Personal injury is not just an injury to the body, but can also involve cases where a person is emotionally offended by another. While most cases end with the parties negotiating outside the court but often there occur such cases that the consultation of a lawyer becomes essential. It is not uncommon for harassment cases to be filed in the courts as harassment can happen anywhere, workplace, home or in public places. One needs to make sure that the offence was severe and offender is not willing to reconcile before consulting a Personal Injury Attorney. Injuries while playing any physical or recreational sport is a common phenomenon and is often considered harmless. Such cases are often encountered in professional sports than in recreational sports. 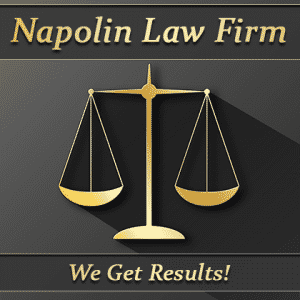 However, personal injuries can happen in both due to someone’s negligence or mal-intent. A personal injury lawyer can bring your case to justice without putting further stress to your situation. While all the personal injury cases can involve the help of a Lawyer, for both consultation and legal representation, the above mentioned are the most commonly encountered cases. Hiring a personal Injury Lawyer not only lowers the amount of work that you need to do and properly recover from your injuries, but would also make sure that you receive proper compensation and claim for the mental, physical and emotional trauma that you went through.